GLOVERSVILLE — Dustin J. Sparks, 50, of Yale St., was taken into custody on an active arrest warrant by city police on Thursday at 3:26 a.m. The arrest warrant for Sparks was issued by City Court stemming from a criminal obstruction of breathing complaint that occurred on July 9 at 6 a.m.
Sparks was located at his residence and transported to the station where he was processed and held for arraignment. ST. JOHNSVILLE — Lee. R. Vadney, 49, of Herkimer, was charged by state police on Monday at 4:11 p.m. with seventh-degree criminal possession of a controlled substance and second-degree criminal use of drug paraphernalia. 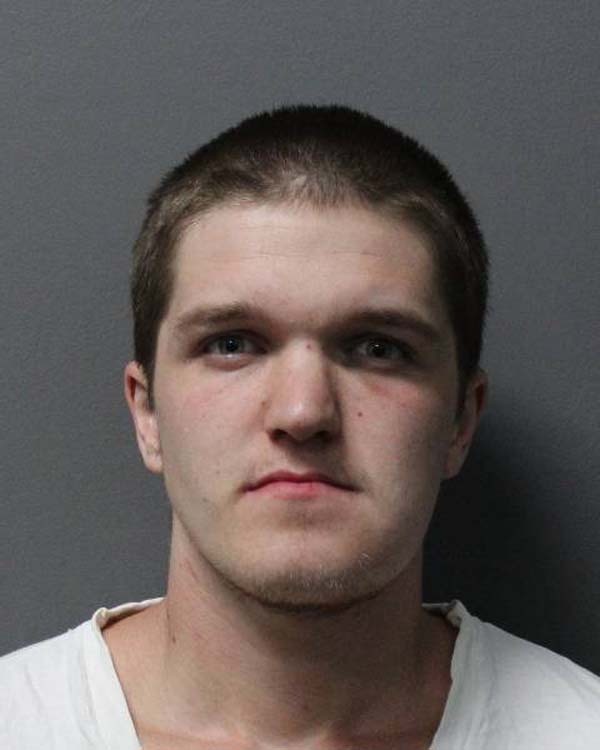 GLOVERSVILLE — Jimmy C. Murray Jr., 26, of 10 Park St. Apartment 1, was taken into custody by city police on an active arrest warrant on July 12 at 5:48 a.m. The arrest warrant for Murray was issued out of City Court for failure to appear on unlicensed and unvaccinated canine violations. Murray was transported to the station, processed and held for arraignment. GLOVERSVILLE — William D. White, 53, of 51 Yale St. Apartment 1, was charged with an open container violation by city police on Monday at 8:15 p.m.
White was taken into custody by city police when he was found to be in possession of an open container of an alcoholic beverage in the area of North Main Street. White was issued an appearance ticket returnable to City Court. FORT EDWARD — Brandi L. Parker, 33, of 40 McIntyre St., was taken into custody by Gloversville police on an active bench warrant issued out of the village on Monday at 10:10 p.m. The bench warrant for Parker was issued out of Village Court by Judge Joseph Malvuccio on June 11 for failure to appear on charges of two counts of seventh-degree criminal possession of a controlled substance and two counts of unlawfully dealing with a child. Parker was taken into custody by Gloversville police who located her while responding to a disorderly conduct complaint in the Price Chopper parking lot. Parker was held and turned over to state police. JOHNSTOWN — Alisha M. Hogan, 27, of St. Johnsville, was charged by state police on July 11 with fifth-degree criminal possession of stolen property, second-degree criminal impersonation, failure to dim lights and third-degree aggravated unlicensed operation.